Preserving the musical traditions of their Appalachian region while giving fresh voice to ancient themes of love and loss, time and trials, is the hallmark of the rootsy ensemble from East Tennessee known as Wild Blue Yonder. Wild Blue Yonder was born in the year 2000 when singer/songwriters Melissa Wade and Philip Coward decided to join forces and share their love of acoustic music with new audiences. The two had been playing other types of music, on piano and electric guitar respectively, for many years when they felt the call to return to their roots musically. Plodding the fields of bluegrass festivals brought them various pickers who served as band members on and off for a time, but when they stumbled upon two fiddle-playing sisters, Cindy Wallace and Laura Knight, they found a musical spark that has endured. 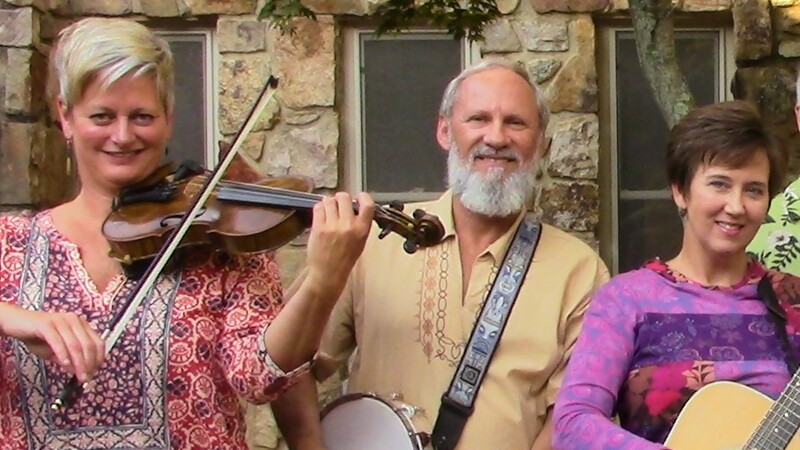 For about 12 years the band flourished in the East Tennessee and Western North Carolina regions, producing two well-received contemporary bluegrass CDs and performing more than 50 shows a year for several years. Both discs, “Bolt Out of the Blue” and “Above & Beyond,” received airplay on bluegrass and Folk stations across the U.S., and in the UK, Australia, and the Netherlands. Wild Blue Yonder also garnered recognition in the major bluegrass magazines and played numerous sold-out venues, including the Great Smoky Mountains Heritage Center for eight years. The group was especially honored to open for Doc Watson at a celebration of his 80th birthday in 2003 in Bristol, Tennessee. Today Wild Blue Yonder has scaled down to a three or four-piece ensemble and renewed its focus on original material. Wade and Coward’s respect for a well-crafted song in these days of cookie-cutter clutter on the airways has led them to a renewed focus on writing. They have truly followed their hearts to a place of complete artistic integrity . . . a place where lyrics matter, where melodies are fresh, where originality is esteemed above all else. Wade's love of music began at the piano, her first instrument, at age 8. It was there she learned the structure from which creativity can blossom and there where she still does the bulk of her writing. A small Methodist church in Mascot, Tennessee, was her first piano "gig" as a young teen, and in that setting she found a love of sacred music that empowers her songs today. 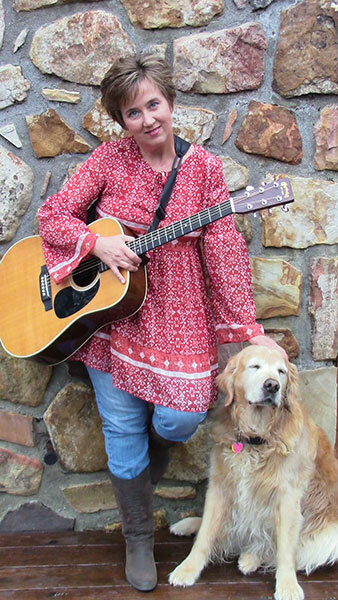 Guitar was the next instrument to catch her ear, largely owing to the music of Emmylou Harris and Nanci Griffith, major influences on her performance style. 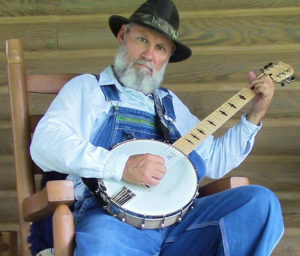 Coward, who plays guitar, mandolin and banjo, comes from a long and diverse musical background. He began playing guitar at age 12, bass a few years later, and was a veteran of numerous in-demand working bands in Knoxville by age 22. While he led several top 40 bands in the 1970s and '80s - one of which toured overseas with the USO - bluegrass music was what he enjoyed offstage. Today he also co-writes with Wade, often providing the idea behind the song and exceptional creativity in arrangements. 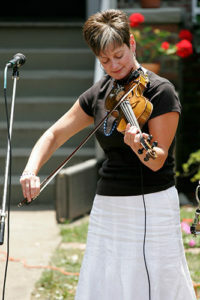 Cindy Wallace, who contributes soulful fiddle, makes up the third member of the new Wild Blue Yonder trio. Her musical roots are firmly grounded in a family band in which she began performing as a young teen in Greenville, North Carolina. Wallace’s father, Will, was her first major musical influence and whom she credits with inspiring her in many ways. “Pa,” as she calls him, made sure his three daughters were not only trained in classical violin, but also equipped with the skills to entertain a crowd with a rousing fiddle tune. Cindy also plays guitar and piano. With her sisters, she performed at numerous Sevier County,Tennessee, venues for many years, including Dollywood, Music Mansion and the Rainbow Theater. Here's what a few acoustic music reviewers have said about Wild Blue Yonder . . .